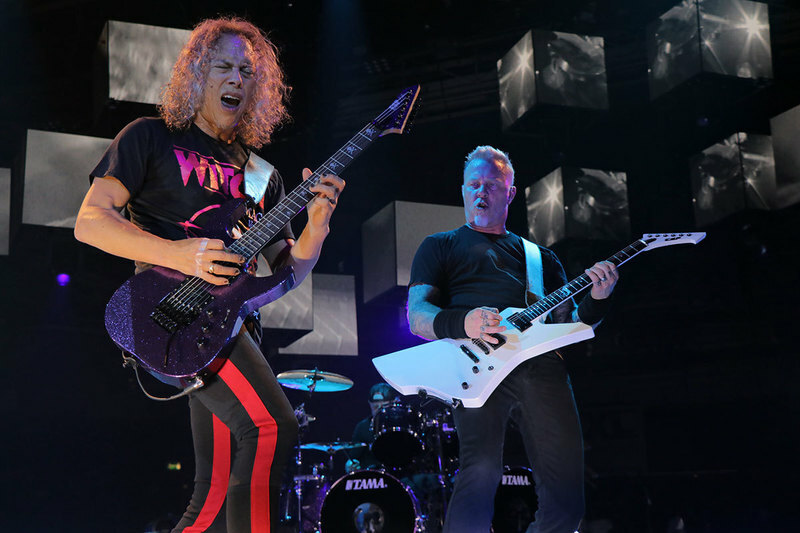 Metallica performed their version of Diamond Head’s 1980 classic, “Am I Evil?”, at the Hanns-Martin-Schleyer-Halle in Stuttgart, Germany on April 9, and the band are sharing professional footage from the show. Metallica’s take on “Am I Evil?” resurfaced again earlier this month on the 2018 reissue of their 1987 collection, "The $5.98 EP – Garage Days Re-Revisited." Available for the first time in decades, the set peaked at No. 28 on the US Billboard 200 upon its original release on its way to sales of more than a million copies in the country. Metallica are currently on a two-week break from a European tour in support of their tenth album, “Hardwired…To Self-Destruct”; the trek will resume in Munich, Germany on April 26.